You can be more comfortable and more productive, no matter what you’re doing or where you’re doing it. 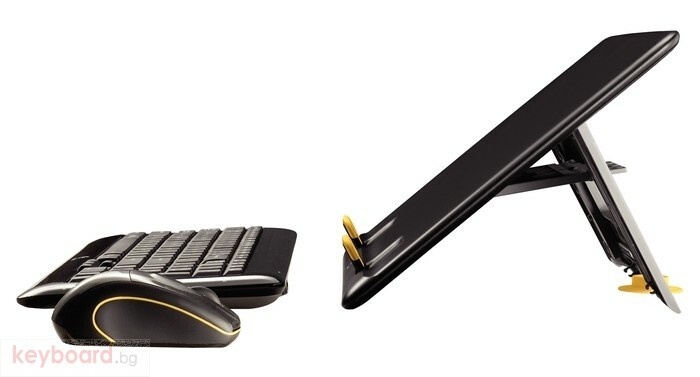 The pivoting notebook riser elevates your notebook to one of three angles. 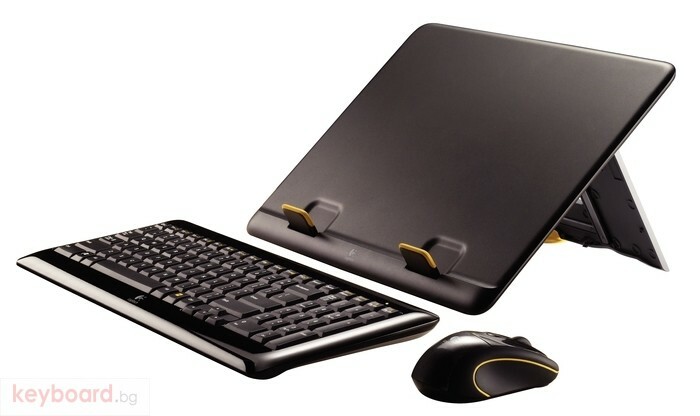 Pick the perfect position when you’re watching movies in bed, sharing photos at the kitchen table or if you just want to sit up straighter at your desk. 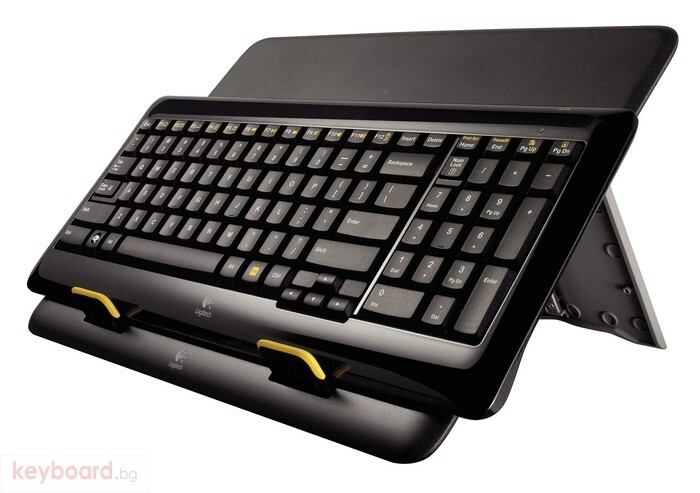 For more involved tasks, you can place the compact, wireless keyboard where it feels best. 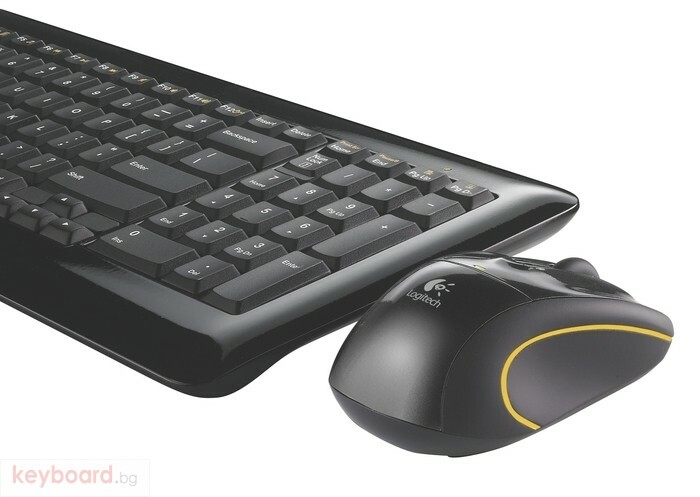 You’ll type more comfortably and efficiently thanks to the full-size layout and included number pad. 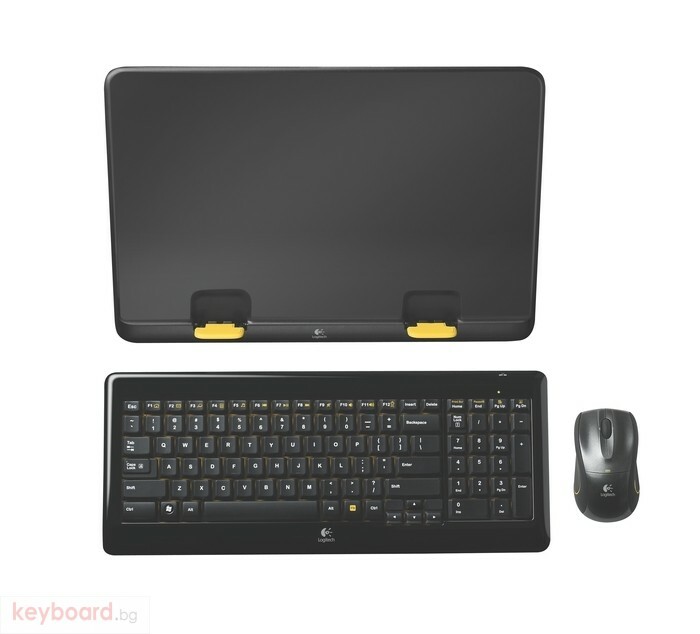 The tiny Logitech Unifying receiver is small enough to stay in your notebook and connects both the included mouse and keyboard, so both are ready to use whenever you need them.